Electronic Meeting Attendance and Voting: What is Permitted? The majority of the owners of a unit may exercise the right to vote in respect of the unit but the vote shall not be counted if there are two or more owners of the unit and they are evenly divided on how to exercise the vote. Here’s the problem: Suppose a unit is owned by two (or more) persons. If only one of those owners seeks to exercise the voting rights for the unit, it’s not clear that he or she has the right to vote. This is because a “majority” is more than half. Therefore, one owner (out of two or more) would not constitute a majority. In my view, one possible solution is to pass a clarifying by-law stating that any one owner of a unit may exercise the vote (for the unit), and the provisions of Section 51 (3) will apply only if two or more of the owners of a unit decide to vote. 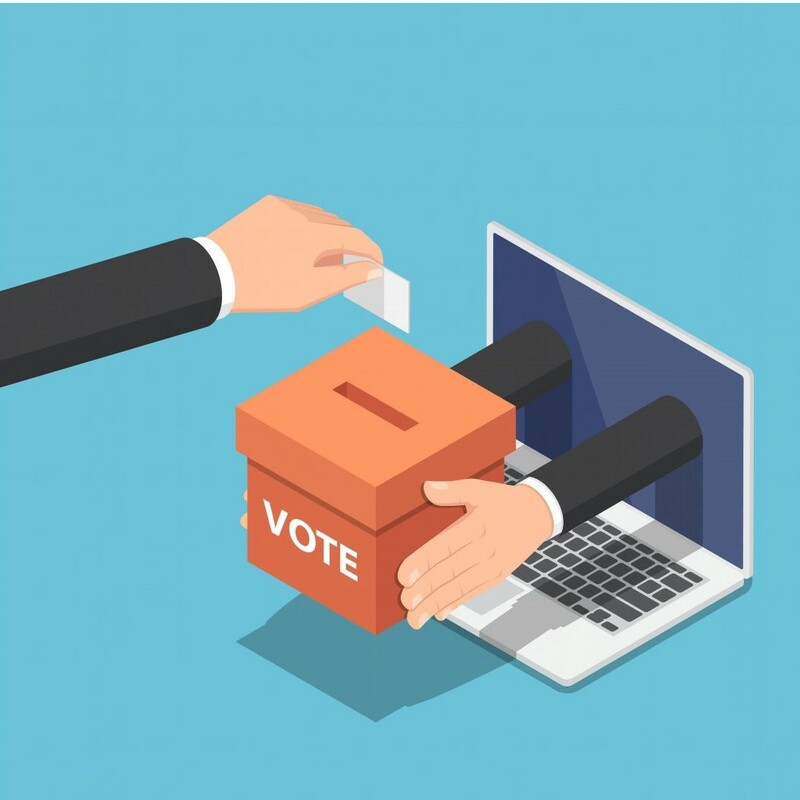 Subsection 52(2) of the Condominium Act allows a person who is entitled to vote at a meeting of owners to request that a recorded vote be held (on any item scheduled for a vote). This section requires that the request be made either before, or promptly after, the vote is taken. The term “recorded vote” is not defined in the Act, nor has it been defined by the Courts. It is therefore not 100% clear what is meant by the term “recorded vote”. As a result of this uncertainty, it is important, in the event of a request for a recorded vote, that the individual making the request, the chair, and all other owners present at the meeting, agree on (or at least understand) the particular process that will be followed for the purpose of taking the recorded vote. In my view, a recorded vote is any voting process that results in the recording (in the meeting minutes) of the voting results (ie. the numbers for and against the particular motion). For instance, a recorded vote could be taken by poll (ie. a roll call), a secret ballot (in which case the voter is not identified on the ballot) or an open ballot (in which case the voter is identified on the ballot). Depending upon the type of recorded vote, owners may or may not be entitled to know how each of the other owners voted. Condominiums may pass bylaws to govern how a recorded vote is to be taken for a particular condominium, and the bylaw may specify the process to be followed. Often, this type of provision can be found in a condominium corporation’s operational or comprehensive bylaw. If there is no existing provision, a condominium corporation may pass a bylaw to amend its operational bylaw by adding a provision to deal with the recorded vote. Absent a bylaw, the process to be followed when a request for a recorded vote is made may be decided by the chair, or perhaps may be decided by the owners present (or represented) at the meeting, by ordinary resolution. Regardless of the process selected, it is our general view that, if requested, owners are entitled to know the “number results” of a vote – in other words, owners are entitled to know how many individuals voted for or against a particular item, or how many individuals voted for each candidate in an election. If such a request is made, unless the person making the request agrees to be told privately of the results, the chair of the meeting would be required to announce the number results for the particular vote. For there to be a vote, there must be a quorum present. Condominium Directors can’t vote by proxy. The general nature of the business (to be voted upon) must be stated or implied in the Notice of Meeting. For a motion to be carried, a majority of the votes cast must be in favour of the motion. In the event of a tie (among the votes cast), the motion fails. Directors can abstain (and of course must abstain if in a conflict). An abstention is a vote that is not cast.